The full list of first and third-party games in PlayStation Now's ongoing beta has been leaked, and you might be surprised at the games included. Earlier this week, we reported that beta invites for Sony's PlayStation Now streaming service were being sent out. Now, it seems one beta user has leaked the entire list of games available on the service for beta participants, which you can see below. 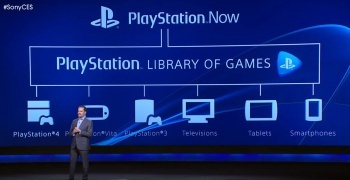 Announced at this year's Consumer Electronics Show (CES) during Sony's keynote, PlayStation Now is a streaming service that will make older PlayStation titles playable on PlayStation consoles, tablets, smartphones, TVs and even non-Sony branded devices in the future. However, it's been rumored that PlayStation Now might exclude PS1 and PS2 games in its lineup, but it's also speculated that Sony will add an emulator to the PS4 that will allow gamers to play disc-based and digital PS1 and PS2 games on the next-gen console. It might just be me, but the third-party choices are a little odd, but at least Sony has covered every genre, from the looks of it. If you're part of the beta, can you talk about the experience or is there an NDA (non-disclosure agreement) tied to it? And if you can, how strict is that 5mbps requirement Sony mentioned? Hopefully, Sony rolls this out worldwide soon so I can finally clear some space and put my PS3 to rest.